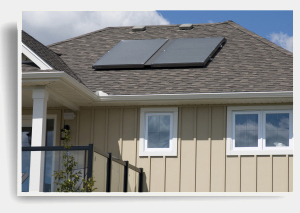 Vintage Heating & A/C will size your system and recommend solar panels and system components to supplement your heating and domestic hot water needs. 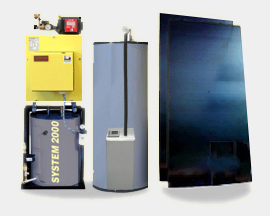 We can help you understand when to choose flat panel or evacuator tube collectors, and how best to utilize the available solar heating hours in the challenging climate of Maine, and explain what you can expect for system performance. Vintage Heating & A/C can help you determine available tax credits and how to maximize your return on investment. Geothermal Energy - solar heat naturally absorbed and stored in the earth - can be utilized for heating and cooling your home or business. Geothermal energy transfer is enabled through the installation of earth loops,	pond loops, or vertical loops as determined by the layout and characteristics of your property. 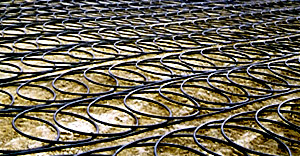 Energy loops connected to an Econar® GeoSystems® GeoSource® Geothermal Heat Pump can provide a viable alternative energy solution to your heating and air conditioning needs. Vintage Heating & A/C is certified by Econar® for the design, installation, and maintenance of it's geothermal systems. If the possibility of geothermal energy is of interest to you, please contact us for more information.